Ada pertanyaan untuk New Wave Hotel Batu Caves? 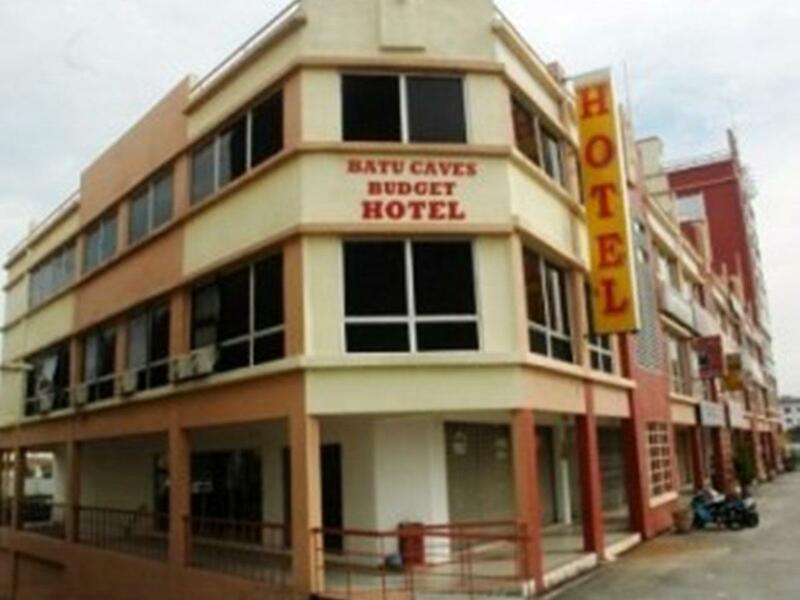 Terletak di Batu Caves / Gombak, New Wave Hotel Batu Caves merupakan tempat yang sempurna untuk menikmati Kuala Lumpur dan sekitarnya. Kehebohan pusat kota terletak hanya 6.0 km dari sini. Sebagai sebuah tempat untuk beristirahat dan bersantai, hotel ini terletak hanya beberapa langkah dari berbagai obyek wisata kota ini seperti Batu Caves - Kuil Hindu, Batu Caves, KL Tzu-Chi Jing Si Hall. Dengan menawarkan pelayanan superior dan sejumlah fasilitas kepada para tamu hotel, New Wave Hotel Batu Caves berkomitmen untuk memastikan penginapan Anda senyaman mungkin. Ketika menginap di properti yang luar biasa ini, para tamu dapat menikmati layanan kamar 24 jam, WiFi gratis di semua kamar, Wi-fi di tempat umum, layanan kamar, antar-jemput bandara. Masuki salah satu dari 35 kamar yang menggoda ini dan lepaskan rasa penat Anda dengan sejumlah fasilitas yang tersedia seperti televisi layar datar, akses internet - WiFi, akses internet WiFi (gratis), kamar bebas asap rokok, AC. Spa, taman di hotel ini adalah tempat-tempat ideal untuk bersantai setelah hari yang sibuk. Ketika Anda mencari penginapan yang nyaman di Kuala Lumpur, jadikanlah New Wave Hotel Batu Caves rumah Anda ketika Anda berlibur. It is two star budget stay. So it is value for money money on what you pay. I say our stay is well , and did rest properly too. You can have a minimal facilities and needs if you really just need a room to rest and bath. Place is easy to find and cleaned. 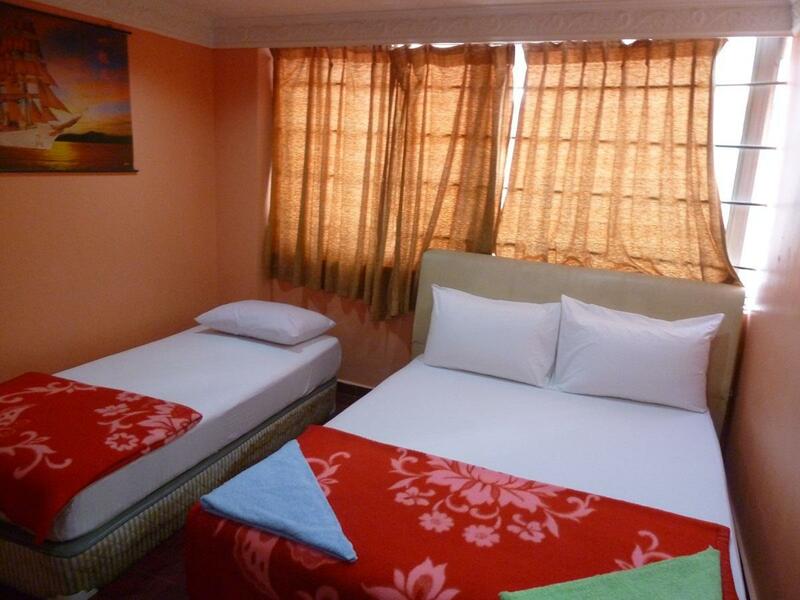 I only Book for two night stay, which is for me is very affordable and cozy, except for cleanliness, which is when I get on the bed, I can feel there are like small stone and the toilet were not flush. Aside from that others is okay. Very recommended for solo traveler and a short stay. It seems to me that many people who are giving really misleading reviews of this hotel have accidentally gone to the wrong one. For one thing, people have said it is near the train station, and it is not. They also have said it is next to a temple, and it is not. Lindsay says the WiFi doesn't work but it does (I'm typing this review from the hotel now), and I was here the entire time that he said he was here but I never saw him, so I doubt that he came to the right hotel. What you need to know is there are several hotels in the area that all look the same. They are all part of the New Wave chain and when the staff are reluctant to check you in it is because you've come to the wrong address but they don't know how to explain, and because it is all owned by the same owner, they have a same-same attitude and will let you have the room because it's worse to argue. This hotel is built on top of a large car park, so if you don't see the car park, you're in the wrong place. I am comfortable enough in my stay here. The shower works, internet works, tv works (sort of), bed is comfortable, and staff are always friendly and honest. It is a good place for business traveler who does not demand too much, or budget traveler. Don't expect a palace for this price and you will be ok with what you get. No window, no ventilation, gets a bit hot sometimes if the A/C is off. Some minor issues about the bathroom condition and state of the walls, but these don't bother me. If you're not a fussy kind of person and traveling on a budget, you could do a lot worse than this place. This place is cheap and it's not in perfect condition but it is comfortable enough. Nobody bothers you, and it's overall acceptable condition for what you pay. Good TV, good shower, good bed, no window (so it can get funky if you're staying a while). Buy an air freshener! Recommend also BYO towel, but up to you. Bed is comfortable. 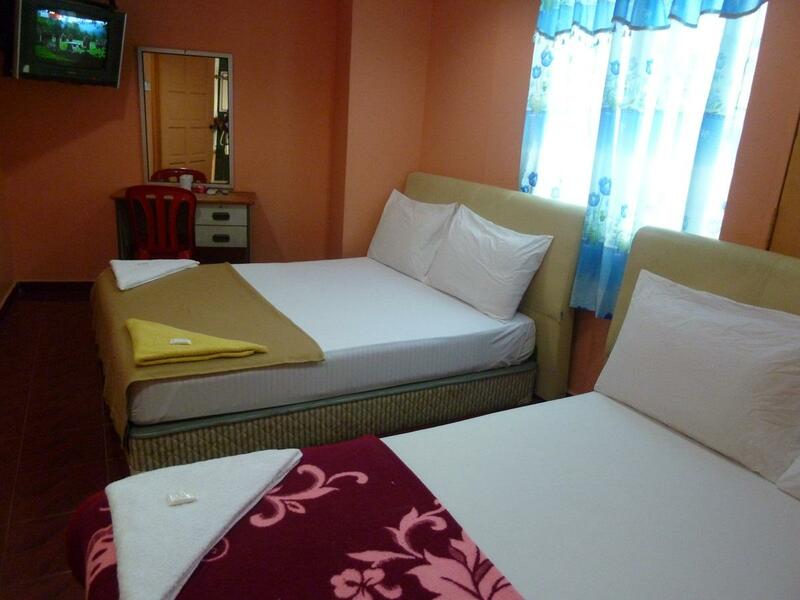 Only a blanket, not top sheet, but that is normal for budget Malaysian hotel and you don't really need the blanket. The only real negatives are the room is showing its age and there is zero ventilation except whatever air can flow under the door. The staff took my bag away my bag while I was not in the room. It's literally have been stolen! However they manage to get it back on the next morning. Every time want to enter to property you need to pay RM1 for entrance to that property. LOCATION HARD TOO FIND!! PUT SIGNBOARD!! The place is like a slum right out of India. Do not pay anything more than RM20 for it. Hard to find, zero customer service, smelly, dirty, messy and old. The moment I saw the room I quickly walked downstairs to check out even when there was no refund. Staying in any New Wave hotel you can't expect it to be a 5 star place, but that is not what they are aiming at. Many people seem to expect much more for their $10, which is a biit silly. This hotel is one of the best deals in town, and the only thing that's bad is the horrible chemicals the local council put in the water to clean it, which don't smell too good and are a bit harsh. It's not really a tourist hotel, and it should be obvious what to expect even before you arrive. The fact there are 6 massage shops on the same tiny estate should provide a clue, anyway. Of the 4 hotels on this estate, this one is the bet quality but has a slightly higher price. That higher price is justified. So just grit your teeth, lower your expectations, and enjoy the savings. Or pay for a better place. That's the great thing about having a choice. You don't come to this area for the views. Very difficult to find the hotel, name of hotel is not as advertised. Once arrived, was informed that they don't reserved my room and the room is not available anymore. Keep saying that what I paid in Agoda was not equivalent to their published rate. Then, they sent us to another hotel. Also problem to locate the hotel. Very troublesome.